For use with Model A and B Indoor Rowers. This is one of the 2¼" wide seat rollers and its hardware (order a quantity of three per indoor rower) that run on the top and bottom of the stainless steel tube monorail. 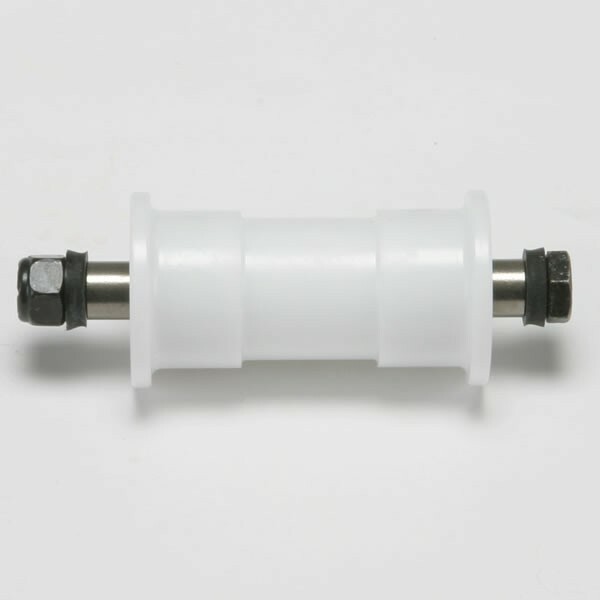 Includes the seat roller bearings (sealed inside) and includes all of the mounting hardware (nut, bolt, and spacers) that holds it into the seat frame. See more info. If your seat does not run smoothly back and forth on top of the rail as you are rowing, make sure the monorail surface is clean. (Use glass or surface cleaner like Windex.) If the rollers and the rail are clean and the ride is still rough new seat rollers may correct the problem.